Busy week? We’ll help you catch up on the basics of this week's cover story, which details the conversation about what should be done about the statue of President William McKinley and a plaque commemorating the Jacoby Storehouse on the Arcata Plaza. Read the full story here before you dive into a Facebook comments debate. Below, find four questions answered in Kimberly Wears story, "A Monumental Decision," and a bonus question that expands the story beyond the Arcata Plaza. Let us know what you think in the comments below. 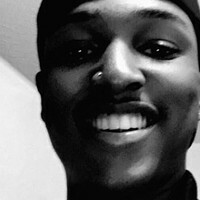 What’s happening? Following a national trend, dozens of Arcatans filled the D Street Community Center on Dec. 4 to discuss what to do with a pair of historic artifacts that most feel conflict with the city’s values. The vast majority of the few dozen who addressed the Arcata City Council that night encouraged the council to take the artifacts down, arguing they promote ideologies of racism, imperialism and violence. Patigian’s statue barely made it to Arcata, having to first survive the 1906 San Francsico earthquake, which led to a fire that burnt down Patigian’s foundry. But thanks to some good Samaritans and and steamboat, the 9-foot statute made its way to Arcata, where it was proudly displayed in the center of the plaza on a 26-ton pedestal made from local granite. 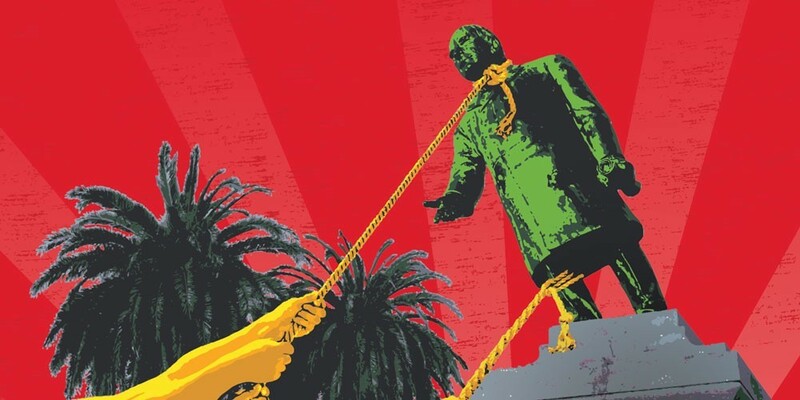 More than a century later, the statute has been the subject of repeated controversy, mostly because of McKinley’s role leading the nation into the Spanish-American War and his administration’s ruthless quelling of an uprising in the Philippines and acquisitions of Guam and Puerto Rico. At the Dec. 4 meeting, a handful of people spoke in defense of the statue, saying it’s a part of local history. And the plaque? From our story: Dedicated in 1963, the plaque’s inscription describes a bit about the Jacoby Building’s history, how it was built in 1857 for Augustus Jacoby and served as a supply point for the Klamath-Trinity mining camp for many years. But mixed between the innocuous details is the affronting phrase, “it served periodically as a refuge in time of Indian troubles,” belying the systematic massacres and atrocities committed by local settlers and soldiers against the area’s Native peoples. At the meeting, most agreed the language in the plaque is indefensible, as it sits on what was Wiyot land. Much of the discussion centered on whether the plaque should be taken down entirely or a new plaque conveying the Wiyot perspective and a more factual retelling of the building’s history should be put up to accompany it. What’s next? The Arcata City Council asked staff to agendize the issue for its Feb. 21 meeting, making sure to set the date when Humboldt State University students will be back in town following the winter break. The issue will be on the agenda as an action item, meaning the council could make any number of decisions. Those include opting to take down McKinley’s statue, adding a plaque to its base explaining the impact of his presidency, putting the decision before city voters or leaving the statue as is. (In 2005, the council discussed the issue and decided to leave it alone after a series of divided votes.) The council will take action from a similar list of options on the plaque. What other historic Humboldt relics may clash with 21st century values? 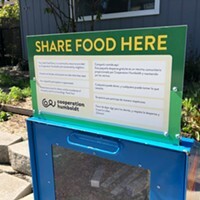 In reporting this story, we wondered what other plaques, statutes and relics might be out there memorializing people and places that might make some our stomachs churn. 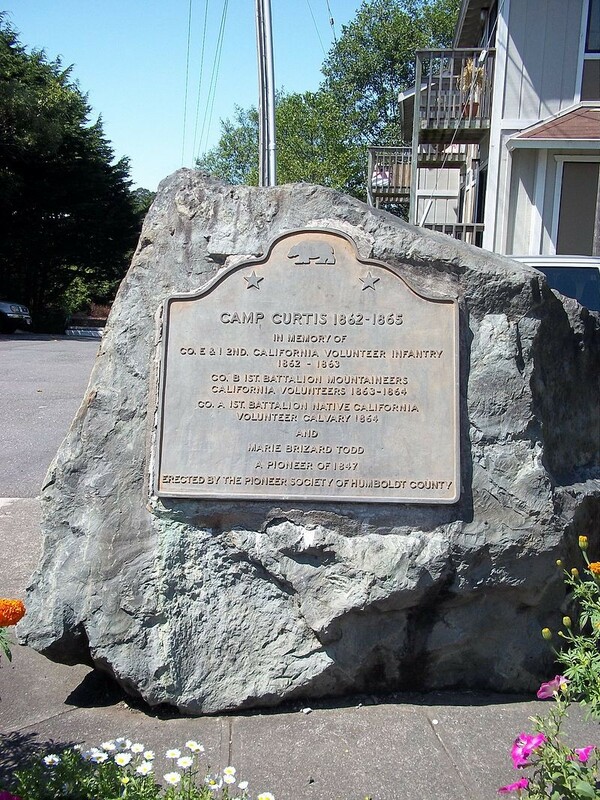 We reached out to local historian Jerry Rohde, who pointed to the Camp Curtis historical marker on the north end of Arcata and Fort Humboldt as possibilities. Camp Curtis served as the headquarters and garrison of the 1st Battalion California Volunteer Mountaineers from 1862 to 1865. The bronze historical marker that now sits near a bus stop at the end of L.K. Wood Boulevard notes that it was being placed in memory of the volunteer infantry. Rohde notes that the battalion “was one of the volunteer military units that was notorious for massacring Indians” in the 1850s and 1860s. 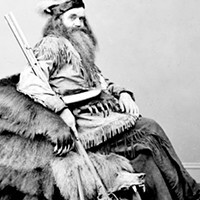 Rohde points out, and it’s worth noting here, that Humboldt County also contains a multitude of places and things named after horrible people, most notably Henry P. Larabee, “probably Humboldt County’s most prolific murderer of Natives” and a participant in the Indian Island Massacre. There’s also a pond named after Seth Kinman, who Rohde said was known to kill natives on sight, and a host of “squaw” creeks that perpetuate a horribly offensive term. 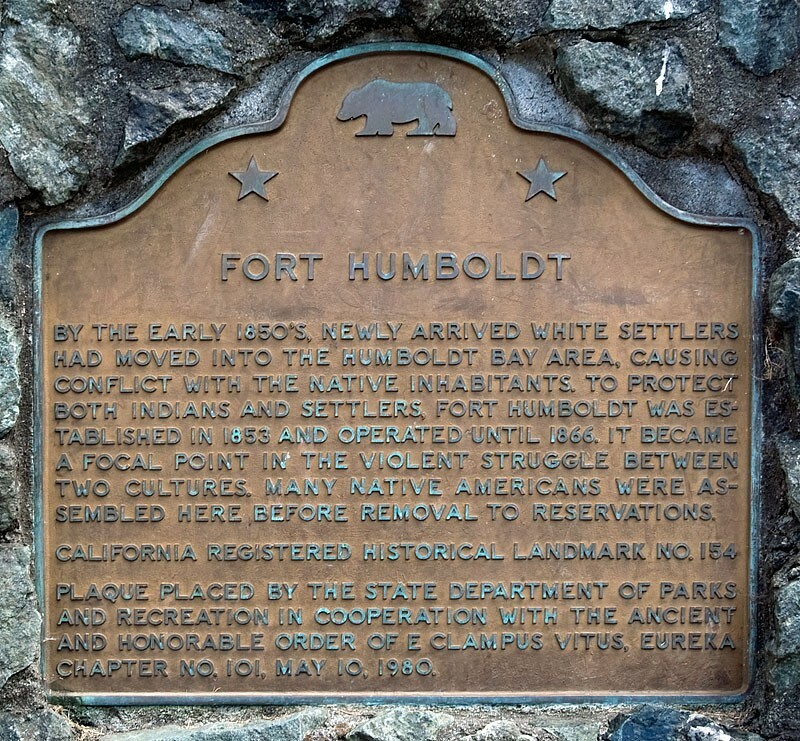 For more on the controversial place names of Humboldt County, see this piece by Linda Stansberry from 2015. And, to read this week’s cover story, click here.